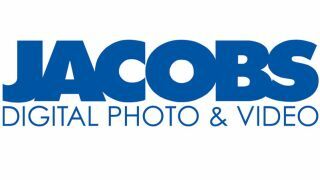 Jacobs, the troubled photographic chain, will close seven stores, resulting in 46 members of staff losing their jobs. The seven stores affected are: Birmingham, Chelsea, Derby, Hull, Kingston-upon-Thames, Liverpool and Sheffield. The closures come as a result of the administrators called in to save Jacobs undertaking a comprehensive review of the retailer's 19 stores. The Leicester-based company was placed in administration on 1 June. Eddie Kerr, partner at PKF accountants and business advisers, and joint administrator of Cecil Jacobs, said: "We have taken the difficult decision to close a number of Jacobs stores and make redundancies across the business." "These measures are painful for everyone involved but they are essential if we are to have a reasonable prospect of finding a buyer for the business as a going concern, although we recognise that there are likely to be more challenges ahead," he added. "We have already had a number of expressions of interest from potential acquirers, and are in a position to begin negotiations." The remaining dozen shops in the chain are still trading at the moment, but the the company's financial difficulties and the announcement of store closures are bound to cause some disquiet among shoppers this weekend looking to buy a new camera or other photographic goods. The family firm was founded back in 1939 and employed 154 staff. However, recent tough trading conditions and the ferocious competition from web-based suppliers resulted in the company moving into administration.